Several mortar shells from Syria were fired on the Golan Heights Tuesday and Wednesday, causing damage but no injuries. .
Several mortar shells from Syria were fired on the Golan Heights Tuesday morning, causing damage but no injuries. An addiional shell striuck in teh same area Wednesday. The IDF was placed on high alert. 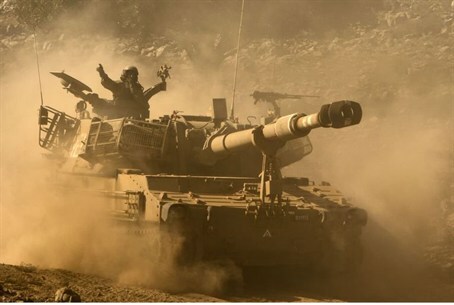 At least one of the shells exploded in a community in the northern Golan Heights. "Earlier this morning several mortar shells landed in the Golan Heights, causing no damage or injuries," an IDF spokesman said. "The shells were aimed at villages inside Syria and are part of the ongoing internal conflict." He added that the Israeli military had filed a complaint with United Nations forces responsible for the border area, "saying that fire from Syria leaking into Israel will not be accepted." Deadly clashes near the Golan border have broken out between opposition forces and Assad’s army, AFP reported. The Britain-based Syrian Observatory for Human Rights said at least five Syrian troops and two rebels were killed in fighting in villages in a small part of the Golan Heights that is in Syria. The mortar shell firing on Israel occurred one day before the 39th anniversary of the Yom Kippur War, in which Syria invaded the Golan Heights and inflicted heavy casualties on an unprepared IDF. The mortar shell explosions represents a drastic change in the situation on the border with Syria, embroiled in a civil war. Dozens of analysts have speculated that Syrian President Bashar Assad will turn his guns on Israel in a last-ditch effort to turn attention from his brutal suppression of the opposition.